@anais167 Женя в Кисловдске, я думаю что они с тренером выбрали правильное решение, о котором Вы узнаете оч скоро! @anais167 Zhenya is in Kislovodsk, I think that he and his coach have chosen the right decision, about what you will know very soon! Lysacek also has talked about making a comeback for Sochi, but was not assigned to any Grand Prixs. 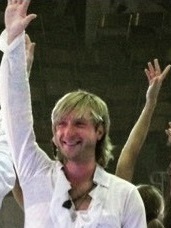 Neither was Turin gold medalist Evgeni Plushenko, who returned to competition last season and won his seventh European title. However, there are open spots for a U.S. man at Skate America and a Russian man at Rostelecom Cup. The Grand Prix circuit begins with Skate America, Oct. 19-21 in Kent, Wash. The other stops are: Skate Canada, Oct. 26-28 in Windsor, Ontario; Cup of China, Nov. 2-4 in Shanghai; Rostelecom Cup, Nov. 9-11 in Moscow; Trophee Bompard, Nov. 16-18 in Paris; and NHK Trophy, Nov. 23-25 in Miyagi, Japan. The Grand Prix final is Dec. 6-9 in Sochi, and also serves as the Olympic test event. 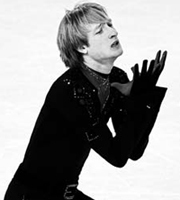 I am planning to go to Euros 2013 in Zagreb, and really hope Evgeni will try to make a history again! I booked hotel already and now trying to order tickets. I sent 2 e-mails to addresses provided on official web site, but so far didn't get replay from them. If I get good seats then I will buy air ticket. Dimi are you going? Anyone is going?